Beijing has set a GDP growth target for 2017 of 6.5 pct as it seeks to revive stalled reforms and cut industrial overcapacity. Yet the leadership still wants unemployment below 4.5 pct. This aggressive goal, alongside an inflexible labour policy, could create new problems. 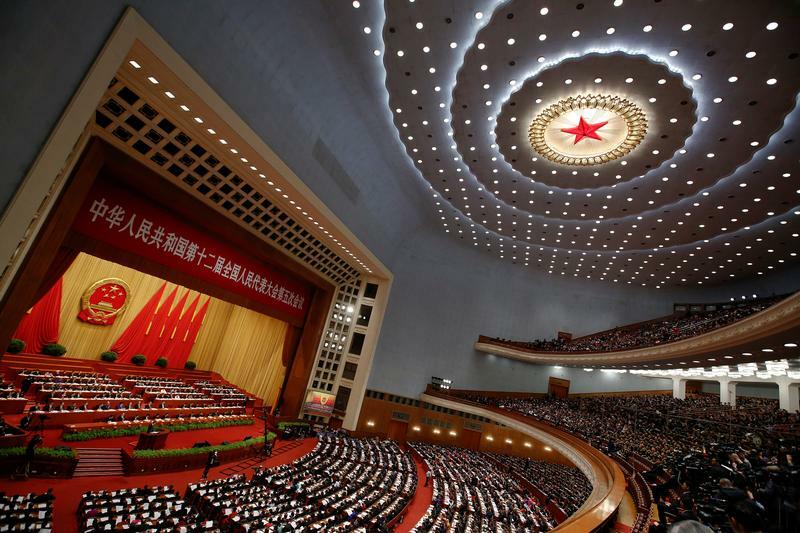 China aims to expand its economy by around 6.5 percent, Premier Li Keqiang said in his work report at the opening of the annual meeting of parliament on March 5. China set a target of 6.5 to 7 percent last year and ultimately achieved 6.7 percent growth, supported by record bank loans, a speculative housing boom and billions in government investment. The government will reduce its broad money supply growth target to around 12 percent. The government's budget deficit target is kept unchanged at 3 percent of GDP. Chinese banks extended a record 12.65 trillion yuan of loans in 2016, and recent data shows that new yuan loans hit 2.03 trillion in January, the second-highest ever. China added 13.14 million new urban jobs in 2016, with the number of college graduates finding employment or starting businesses reaching another record, according to the report. China aims to create more than 11 million new urban jobs this year, even as employment pressure grows, and keep urban registered unemployment below 4.5 percent. "This year's target for urban job creation is 1 million more than last year, underlining the greater importance we are attaching to employment," Li said.